The extension should be installed on your Magento server. 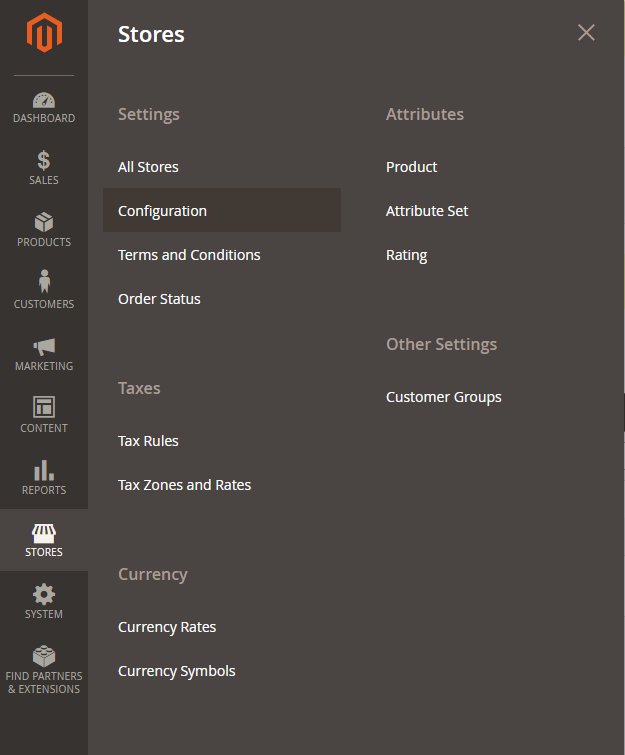 A best practice guide how to install Magento extension can be found here . 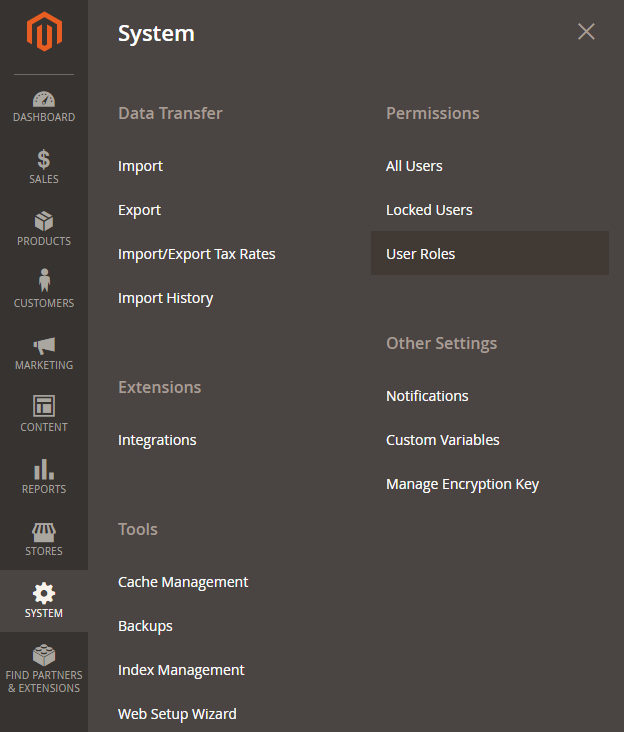 Once installed, you’ll see a notification at top of the Magento Admin Panel Click here to set up your account. If you click on it, you’ll be redirected to the cobby settings under System/configuration/services/cobby . Your License key and Contact Email are already filled. You can either choose to create a new or use an existing web service-user. 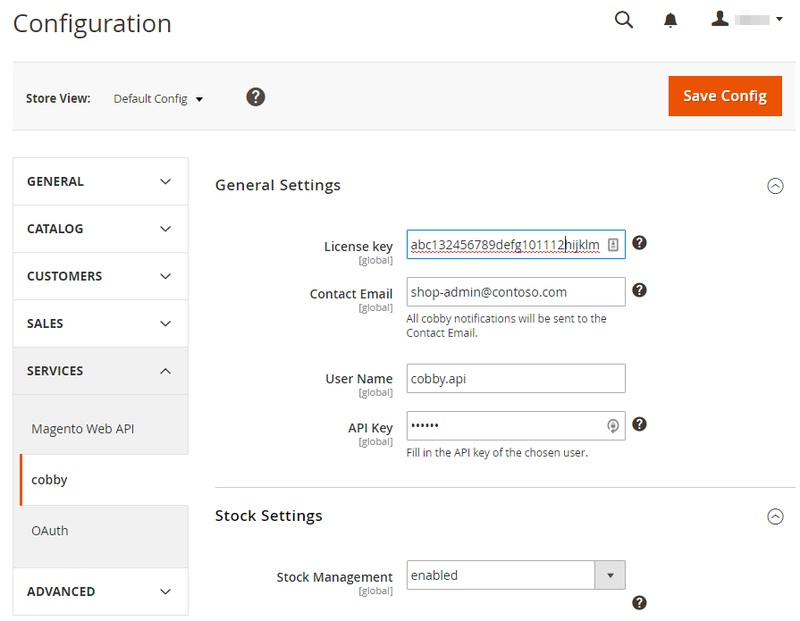 To create a New User you have to provide a User Name, a new Api Key and a User Email. If you choose to Use an Existing User, you have to select a User Name from the list and provide the users API Key. Once you are done click on Save Config. The store will be connected to our service and you’ll receive an email with the Installationlink for Excel. to the corresponding root folder of your Magento installation:Please use the Merge upload mode. Do not replace the whole folders, but merge them. This way your SSH/SFTP/FTP client will only add new files. This mode is used by default by most of SSH/SFTP/FTP clients software. For MacOS it’s recommended to use Transmit or Cyberduck. Connect to your Magento directory via SSH. 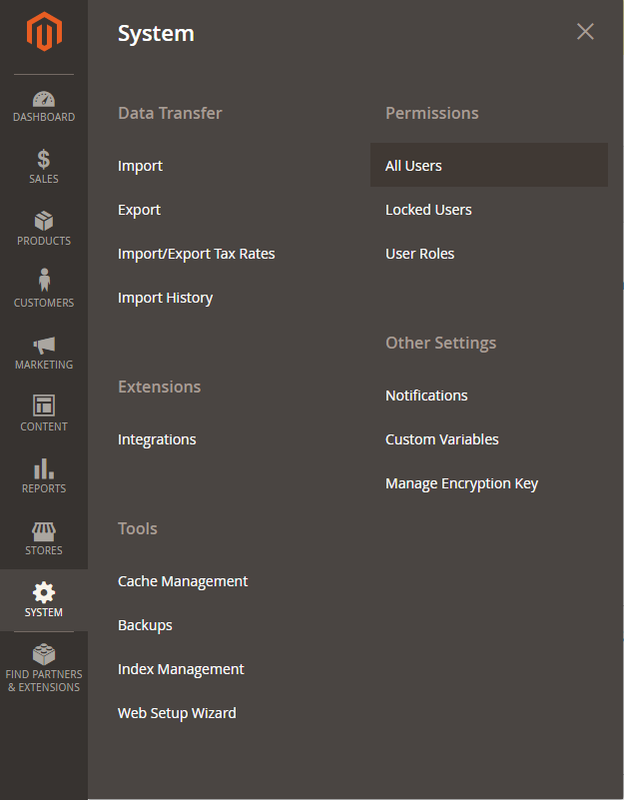 Go to System — Cache Management page on your Magento backend and click the Flush Magento Cache button. cobby is now installed and needs to be configured. 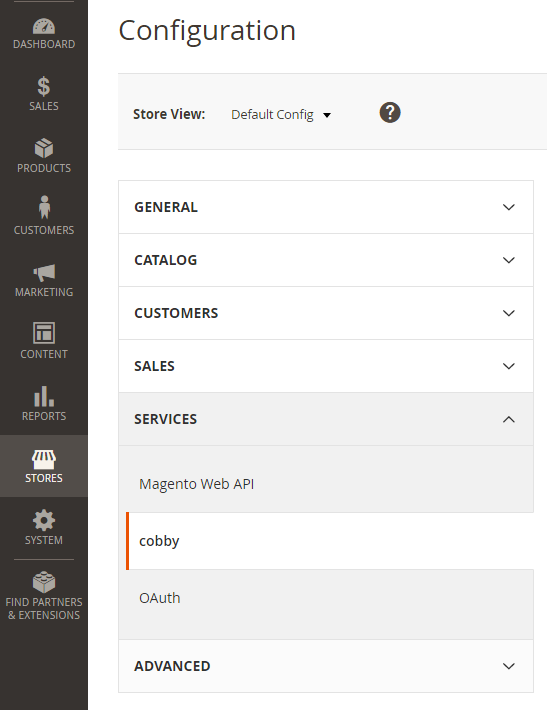 cobby authenticates to your Magento Installation via a user account. It is best practice to create a dedicated user for cobby. create a new user by clicking. fill in all required fields under User-Info and enter your password under Current User Identity Verification. Note down the User Name and Password, we need those later. Tick your new created cobby-role. click on Save User and proceed with step 3. Contact Email: is already filled with your Email address. cobby will inform you of notifications, errors and updates through this address. User Name: the User Name of the user you created in 2.
click on Save Config. The cobby service will now be set up this may take some time, you’ll receive an email to your Contact Email once the service is set up. The email will provide you with an install link to the cobby Excel AddIn.